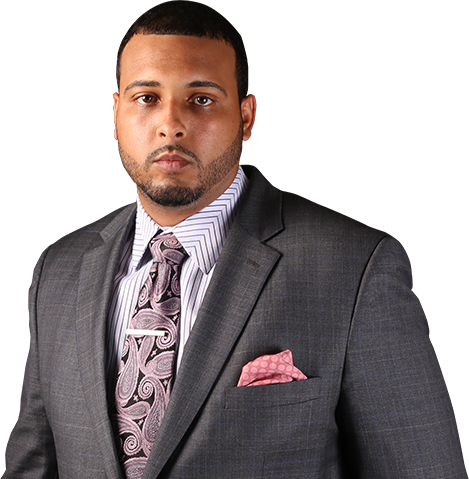 James L. Oliver III represents a new type of lawyer, an accessible and approachable lawyer committed to individualized service to his clients. Putting great significance on each client and providing counsel specific to each legal circumstance. This judgment free process allows clients to feel secure throughout their search for a just outcome to their legal matter. James L. Oliver III is a native of New Orleans, Louisiana. James graduated from Dillard University with a Bachelor's Degree in Sociology and a minor in Criminal Justice. Immediately following graduation from Dillard, he was recruited as a bodily injury adjuster for GEICO claims department. There, is where he developed the knowledge and fostered the passion necessary to provide his personal injury clients with consummate professional representation. In his pursuit to fight for justice, James Oliver left GEICO to accept a position as a legal secretary to a litigation attorney at Morris Bart, LLC. After one year of service there, he attended Southern University Law Center where he earned his Juris Doctorate. During his tenure at Southern University Law Center, he served as Parliamentarian and Treasurer of the Student Bar Association, President of the Sports and Entertainment Legal Association, Judicial Committee chair, and was also an active member of Phi Alpha Delta Law Fraternity, Mediation Clinic, and National Black Law Students Association. James L. Oliver III is a member of the Louisiana Bar Association, the American Bar Association, New Orleans Bar Association, and Baton Rouge Bar Association, and Louisiana Trial Lawyers Association. Also just recently Mr. Oliver was invited to and completed the Trial Lawyer’s College hosted by Gerry Spence where he learned advanced trial techniques to better equip him to represent his clients at trial. James L. Oliver III is licensed to practice in the state and federal courts of Louisiana as well as the United States Court of Appeal for the Fifth Circuit.